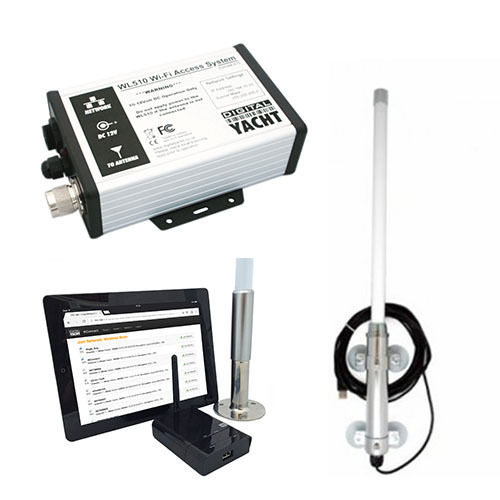 Digital Yacht’s boat internet solutions as our long Range Wi-Fi antenna that extend the Wi-Fi connection range of your laptop, tablet or phone from typically 20-30m up to anywhere between 1-6 miles (depending upon conditions). 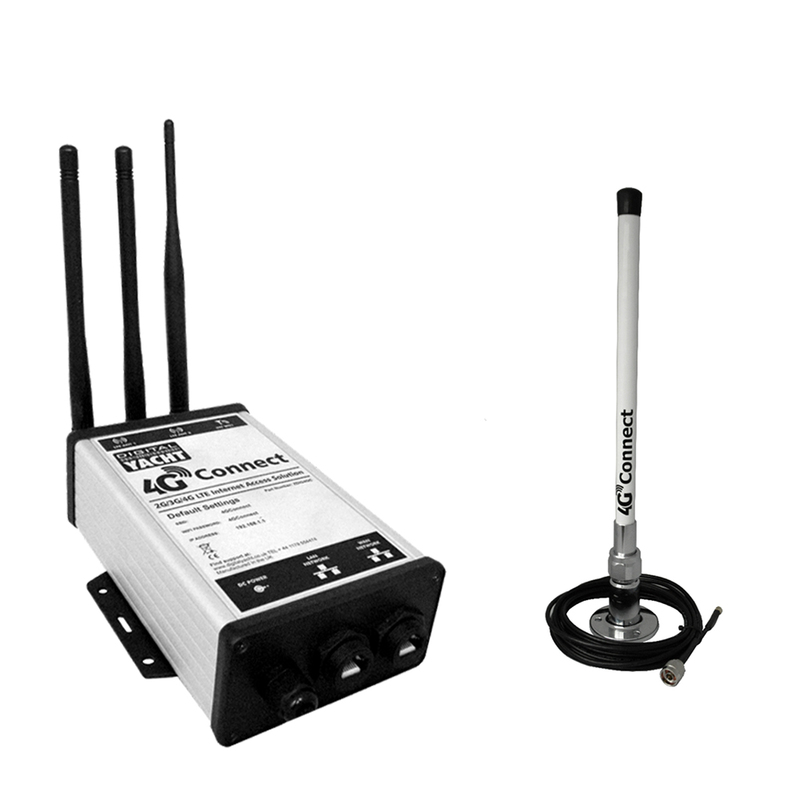 Our marine Wi-Fi antennas easily pick up the hotspot on shore and are also easy to install. Our wireless routers allow to share the internet connection obtained by a Wi-Fi antenna with all the mobile devices, PC, etc. 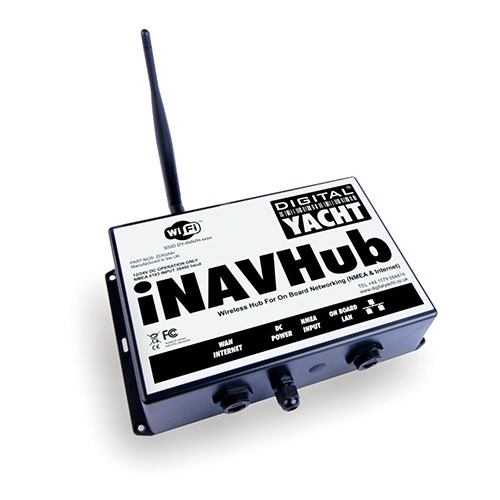 Our iNavHub marine wifi router can also combine and stream wirelessly the NMEA data, allowing your mobile devices and PCs to receive navigation data (NMEA0183) whilst receiving internet data. All our marine Wi-Fi antenna to get internet on board. Wireless routers allow the long range internet connection for your boat to be shared with all mobile devices onboard the vessel.